India is the birth place of four of the world’s major religions: Hinduism, Buddhism, Jainism and Sikhism. Throughout its history, religion has been an important part of the India’s culture. Religious diversity and religious tolerance are both established in the country by law and custom. This tour embraces the path of Buddha and other religious traditions in India. Explore temples of Hindus, Jains and Sikhs. Visit Jama Masjid, the largest mosque in India and the Taj Mahal. Take “The Walk” and learn about the former street children who lead these tours. Pilgrimage Through India is a tour to inspire and change your life. “English lawn”. The memorial has gone through a number of design changes since then, a few at the behest of Jawaharlal Nehru, the first Prime Minister of independent India. In the morning embark on a half day tour of New Delhi to visit Qutab Minar and Humayun’s Tomb. Transfer to the airport to board your flight to Varanasi. You will be met at the airport and driven to your hotel. After check in, you take an excursion to Sarnath – the buried Buddhist city where Lord Buddha gave his first Sermon. Sarnath (Isipatana) or “deer park” is where Gautama Buddha first taught the Dharma, and where the Buddhist Sangha came into existence through the enlightenment of Kondanna. Sarnath is located 13 kilometres north-east of Varanasi near Singhpur, a village one km away from the site, which was the birth place of Shreyansanath, the eleventh Tirthankara of Jainism. There is a temple dedicated to him, so This area is an important Jain pilgrimage site as well. Isipatana is mentioned by the Buddha as one of the four places of pilgrimage which his devout followers should visit. Early morning, take a boat ride on the Ganges River. After breakfast enjoy a city tour -visiting Bharat Mata Temple. Durga Temple, Vishwanath Temple and the marble Shiva temple at Benaras University, Visit the colorful markets. Take an evening rickshaw ride to the Ghat to witness Aarti ceremony (blessing given by a Hindu priest while lighting candles). The Ganges is the most sacred river to Hindus and is a lifeline to millions of Indians who live along its course and depend on it for their daily needs. It is worshiped as the goddess Ganga in Hinduism. Varanasi is a holy city in Hinduism and is one of the most sacred pilgrimage places for Hindus of all denominations. It is called the “city of temples” and one of seven most holy places for Hindus to make pilgrimage to in India. After breakfast drive to Bodhgaya (approx.6-7 hours). Check into your hotel. Visit the Mahabodhi Temple and surrounding area. The Mahabodhi Temple, also called the “Great Awakening Temple”, is where Siddhartha Gautama, the Buddha, meditated under the Bodhi tree and is said to have attained enlightenment. Around this temple are many other temples of other religious sects. Architecturally speaking, the Mahabodhi Temple is constructed of brick and is one of the oldest brick structures to have survived in eastern India. It is considered to be a fine example of Indian brickwork, and was highly influential in the development of later architectural traditions. At sunrise visit the Mahabodhi Temple for prayer. After breakfast, drive to Rajgir. Rajgir is sacred to the memory of the founders of both Buddhism and Jainism. Places of interest are Ajatshatru’s fort, Bimbisara’s Jail, Gridhakuta and the Vishwa Shanti Stupa. It is also the site of Vulture’s Peak where Buddha taught the Heart Sutra. Return back to Bodhgaya. Rest of the day is free to explore as you wish. Continue onward to Patna visiting Nalanda enroute. Nalanda was the site of the world’s earliest university. Ancient Buddhist and Jain texts bear evidence that both the Buddha and Mahavir studied here. After your hotel check in, enjoy sightseeing of Patna. The cultural heritage of Bihar State is reflected in Patna’s many ancient monuments. Kumhrar and Agam Kuan are the sites of the ruins of the Ashokan Pataliputra. Didarganj Yakshi remains as an example of Mauryan art. There are five Gurdwaras in Patna which are related to different Sikh Gurus. Patna is a melting pot for India’s many religions. Early morning drive to Kushinagar visiting Vaishali enroute. Vaishali is the center of the ancient land where all the events of the Ramayana took place. It was here that the good king, Vishal, established his kingdom and Ram and Sita took refuge during their 14 years of exile. Visit Makutabandhana, the cremation-site of Gautama Buddha’s body, also known as Ramabhar Stupa. In ancient times, Kushinagar was known as Kushavati (Jatakas). It is referred to in the epic Ramayana as the city of Kusha the son of Ram, the famous king of Ayodhya. Kushavati was a celebrated center of the Malla kingdom of ancient India. Later, it would be known as Kushinagar, one of the most important four holy sites for Buddhists. It is at Kushinagar that Gautama Buddha attained Parinirvana after falling ill from eating a meal of a species of mushroom, or possibly pork. Many of the ruined stupas and viharas here date back to 3rd century BC – 5th century AD when prosperity was at its peak. The Mauryan emperor Ashoka is known to have contributed to significant construction at this site. Drive to Lumbini (Nepal). Check into your hotel. Early morning visit to the birth place of Lord Buddha. Lumbini was where the Buddha lived until the age of 29. It has a number of temples, including the Mayadevi temple. Also located here is the Puskarini or Holy Pond where the Buddha’s mother took the ritual dip prior to his birth and where he, too, had his first bath, as well as the remains of Kapilvastu palace. In the morning, you visit Sravasti. The site of Jetavana Monastery is the main pilgrim destination, with meditation and chanting mainly done at the Gandhakuti (Buddha’s hut) and the Anandabodhi tree. According to Buddhist tradition, Sravasti was called Savatthi because the sage Savattha lived there. The Buddha passed the greater part of his monastic life in Savatthi. Not far from the city was a dark forest called the Andhavana, where some monks and nuns went to live. Gautama Buddha spent 21 rainy seasons under the sacred Peepal tree here. The famous incident of Angulimal happened in the forest of Sravasti, where the cruel dacoit who used to kill people and wear a garland of their fingers, was enlightened by Gautama Buddha. Sravasti is also the site of great religious importance to the Jain followers. It is said that Mahavira Jain, the 24th Tirthankara of Jainism, ‘influenced’ this place. 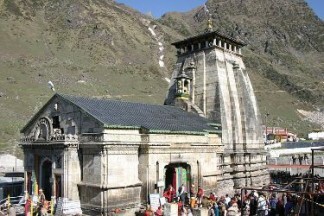 It houses the famous Shwetambar temple. Originally known as the Awadh (Oudh) region, Lucknow has always been known as a multicultural city, and flourished as a cultural and artistic capital of North India in the 18th and 19th centuries. The city is known for its great Urdu poets and for having its own distinct Nawabi style cuisine, which includes kebab with various kinds of biryanis and breads. Transfer to the airport for your evening flight to Delhi. You will be met and driven to your hotel. Embark on a sunrise visit to the Taj Mahal. Explore this amazing monument. In the afternoon, you drive to Delhi visiting Sikandra enroute. Sikandra is Akbar’s Tomb. Akbar, the third Mughal Emperor Akbar the Great (1555–1605), started building his own mausoleum, near Agra, that was to be a perfect blend of Hindu, Christian, Islamic, Buddhist and Jain designs and motifs, as a symbol of his religious tolerance and secular views. However, he could not complete it and died. His son Jehangir completed his tomb, popularly known as Sikandra after Sikandra Lodi, who established the community where Akbar’s Tomb is located. The tomb building is shaped like a truncated pyramid and has five story’s while the main tomb has a distinct square design. There are spacious cloisters on the ground floor. An elaborately decorated vestibule occupies the center of the southern side, highlighted by exquisite carvings, artistic paintings and inlay work in geometric and floral designs enshrining the tombstone of Akbar. Transfer to the airport for your departure flight or you can extend your trip with a 4 day visit to Dharamsala. – All present applicable tax. – All transfers, sightseeing, excursion, air-conditioned car. – English speaking local guide during sightseeing. – Monuments entry fee for one visit only as per program. – Adequate mineral water during sightseeing/vehicle. – Train fare in AC car from Lucknow to Delhi. – Boat ride in Varanasi. – Any airfare, airport tax, visa fee. – Any meals except mentioned in quote include. – Any other services/items not mentioned in program/quote include. Transfer to the airport for your departure flight to Dharamsala where you will be met and driven to your hotel in Dharamsala. Drive to Tilokpur and see Tilopa’s Cave, the Kagyupa Tibetan nunnery and the rural village. Tilopa was a tantric practitioner and mahasiddha. He developed the mahamudra (Tibetan) method, a set of spiritual practices that greatly accelerates the process of attaining bodhi (enlightenment). Tilopa is regarded as the human founder of the Kagyu lineage of Tibetan Buddhism.